“Bites on Bytes” is too trite, but Words on the Word does have a growing tech focus. I’ve reviewed software before, and have moved into iOS and its apps, and now gear. Here I’ll review a classy case for the iPad mini, with another case review to follow, some iOS app reviews on the way, and a forthcoming review of a Sony bluetooth wireless speaker. Stay tuned. This is really two cases in one. On the right in the photo below there is the silicon stand-alone backing, which I’d recommend just for home (but not travel) use. 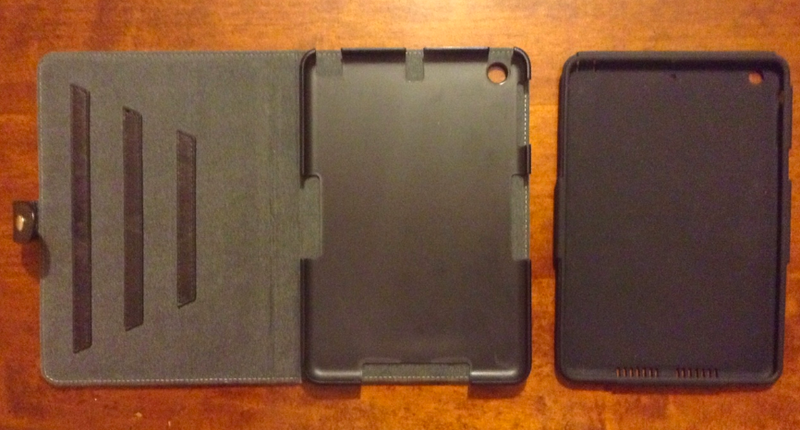 On the left is the folio with a hard back plastic shell that is attached to the leather case that wraps around and closes over the iPad mini. It’s got a sleep/wake feature that functions perfectly. There is actually a third casing option, since the Bear Motion Dual Protection case comes also with a protective velvet sleeve. 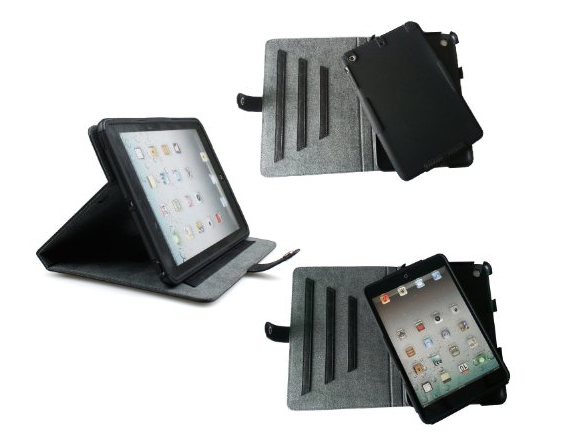 So your iPad would be well-protected here. All told, the pros significantly outweigh the cons. 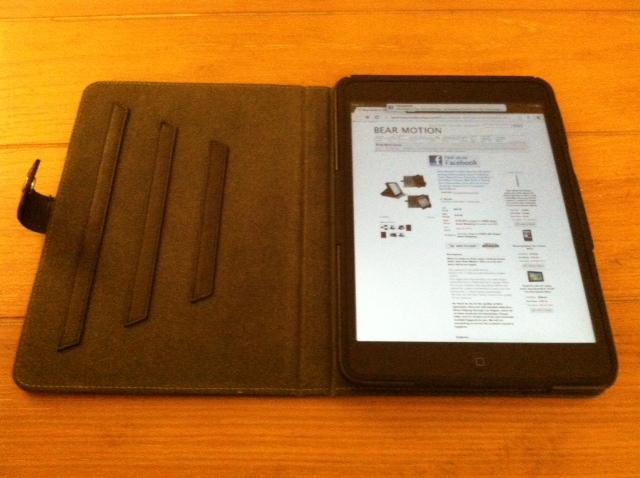 I’ve looked at a number of cases for the iPad mini (and have used four now, with another review to follow), and this is among the best you can get–if the weight is not a problem for you. 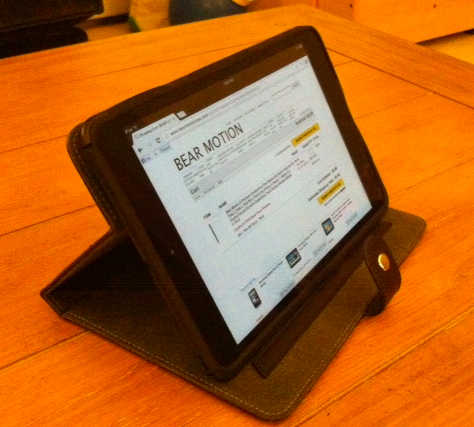 Thanks to Bear Motion for the review sample. They make plenty of other cases for various devices, too. The case reviewed above can be found at Amazon here. i love how you are getting all the free goods for your blog! Not a bad “perk,” and hopefully the reviews are helpful to others.